“Jesus turned, and saw them following, and said to them, ‘What do you seek?’ And they said to him, ‘Rabbi’ (which means Teacher), ‘where are you staying?’ He said to them, ‘Come and see’,” Gospel of St John 1:39. Since the days when the Lord Jesus ascended into heaven, his disciples have met on the first day of the week to celebrate Sunday Mass. The Holy Eucharist on the Lord's Day is a unique way to remember Christ, he who is risen and alive among his friends. There is nothing more important we can offer to God the Father for our salvation and that of the whole of humanity. That is why the Holy Eucharist is the source and the summit of all that we do as a Church. Without the Holy Eucharist, we would be infinitely diminished as a Christian people. Without the Priesthood, there would be no Eucharist. Without the Eucharist, there would be no Church. That is why from earliest times, men of faith and good character were set aside and ordained to offer this sacrifice for the people. 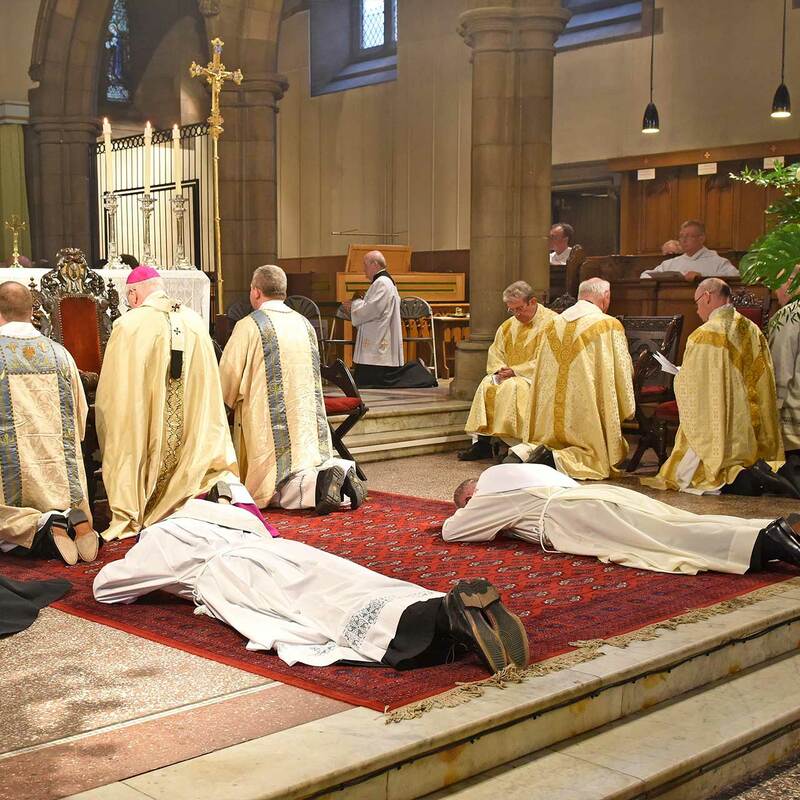 To this day the sacred priesthood remains an essential part of our identity as a Church. 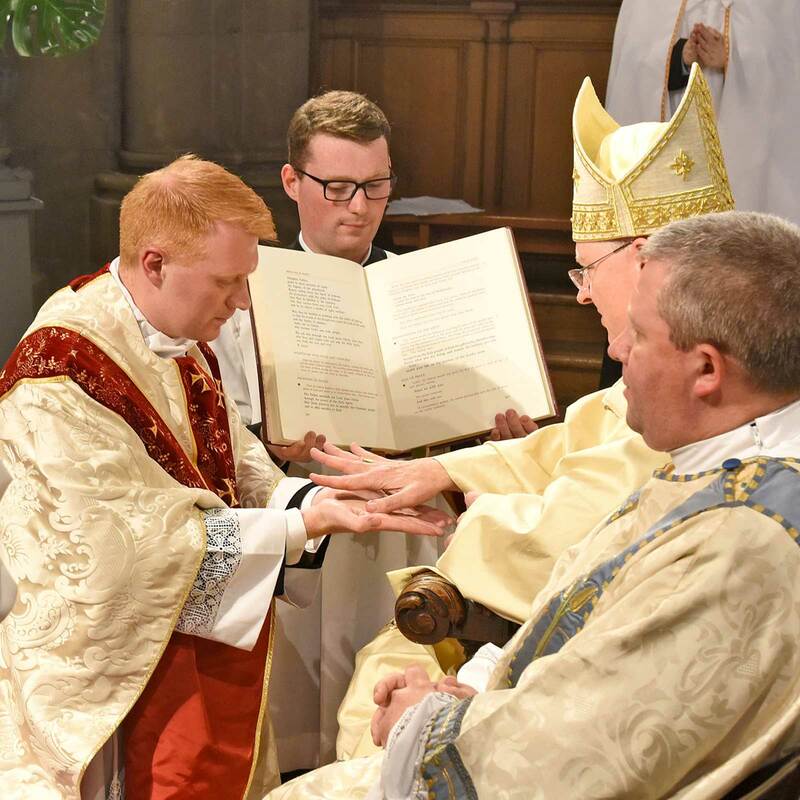 It is eminently possible and desirable to be a priest today and to have joyful, challenging and fulfilling life at the service of God and his people. There is no career that is more loving, heroic or noble than giving yourself for the life - the eternal life - of your fellow Christians and for the good of the whole world. Do you think that Jesus may be calling you? I would say to you what Christ himself said to a curious, youthful St Andrew upon their first encounter: Come and see! Think about it, pray about it before the Blessed Sacrament and let the voice of God's grace speak to you of it in your inmost heart.